Guido Zolezzi has recently visited Amrita University (https://www.amrita.edu/), the first ranked private University of India, for one week. Amrita has been founded by its present Chancellor, Amma, Mata Amritanandamayi, a worldwide known humanitarian leader and spiritual teacher (https://www.amrita.edu/amma), who has guided the impressive development of such unique institution. Amrita has >20,000 students in 5 different campuses across India and incorporates in its vision a view of sustainable development consisting of a continuous synergy between science and spirituality. 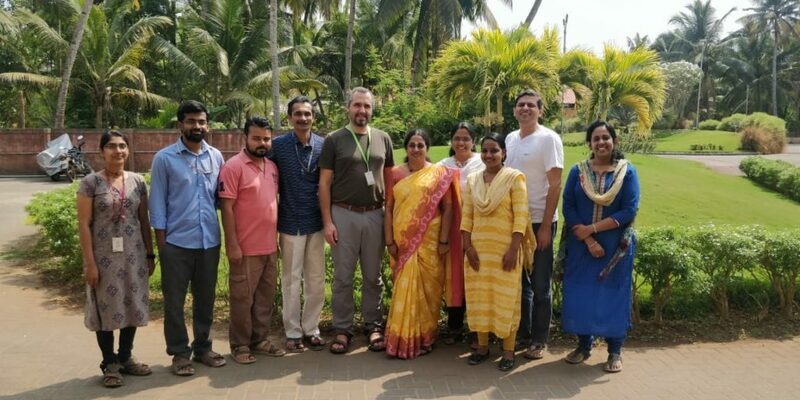 The main reason for Guido’s visit to Amrita has been knowing in more detail their Live-in-Labs initiative (https://www.amrita.edu/international/live-in-labs), a multidisciplinary experiential learning program that breaks classroom and lab barriers by applying learned theory in real-world settings. The Live-in-Labs are elective, project-based courses covering a wide spectrum of university disciplines with many similarities with the SEED initiative of our UNESCO Chair and, therefore, with the “Stage di Progetto”, our project-based course for environmental engineering students. As a result of the visit, we are now working together with Amrita to join our efforts in project-base learning initiatives like the Amrita Live-in-Labs and our SEED / Stage di Progetto.